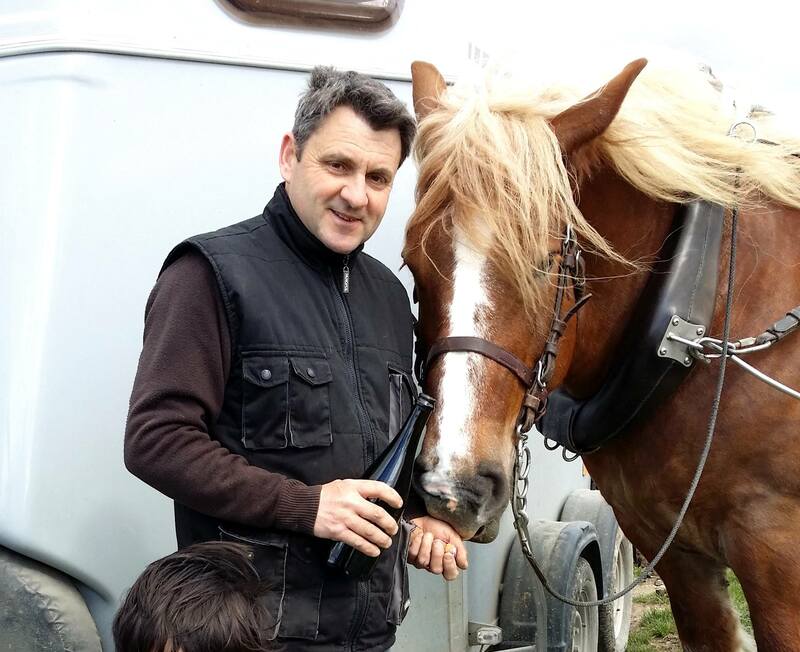 Peter Liem: A passionate advocate of natural winegrowing, Benoît Lahaye took over his family’s estate in 1993 and has been bottling wine under his own label since 1996. He became interested in natural viticulture early on, and inspired by Patrick Meyer in Alsace, Lahaye completely stopped using systemic herbicides in 1994. By 1996 he had begun to work organically, in addition to using cover crops in the vineyards and experimenting with biodynamic treatments; the estate was fully converted to organic viticulture in 2003, and certified organic in 2007. In 2004 he began working all of his vineyards biodynamically, and since 2010, the estate has been certified as biodynamic by Biodyvin. Lahaye owns 4.8 hectares, largely planted with pinot noir: 88%. Three hectares lie in Bouzy, one hectare in Ambonnay and another 60 ares in Tauxières. In addition, a 20-are parcel of 50-year old chardonnay vines is planted in Voipreux, in the southern Côte des Blancs, and since this is so far away from Bouzy, these vines are worked by Pierre Larmandier. In 2010, Lahaye began working two hectares of the domaine by horse, as this compacts the soil less than plowing by tractor. In the cellar the work is as minimal as possible. Lahaye has slowly been increasing the percentage of his wines vinified in 205-liter barriques, and as of the 2012 harvest, all base wines are fermented in barrel. All of the wines in barrel are fermented with natural yeasts. He has also experimented with terracotta amphorae, although he hasn't been satisfied, as he finds that the wines quickly lose freshness compared with those in barrel. In general, he prefers to blend both malo and non-malo lots.